Despite the increased criminalization of humanitarian-aid work we’ve witnessed over the past year, No More Deaths continues to provide lifesaving aid in the borderlands of southern Arizona. Our summer volunteer program trains a new group of volunteers each week and helps maintain a consistent humanitarian presence in the Sonoran Desert during the hottest months of the year. Throughout June and July, we hosted over 30 out-of-town volunteers who worked to place around three thousand gallons of water in the desert. 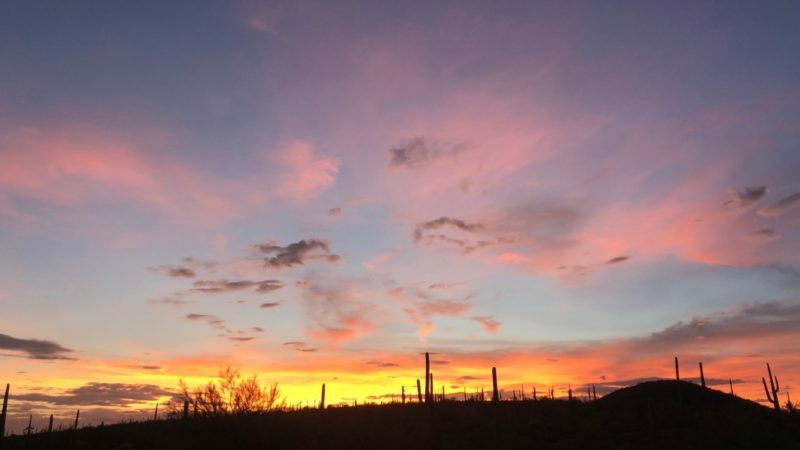 This summer has been particularly focused on providing humanitarian aid in the west desert (which stretches between Ajo, Arizona and the border), where resources are scarce and there is very little access to water. While the summer volunteer program allows us to get huge quantities of water to these remote crossing corridors, it also serves as a way to create a deeper understanding of this work in communities outside of Tucson. Summer-program volunteers this year joined us from over 25 different cities, to which they have now returned and in which they are now raising awareness about the border crisis.